Emptied and cleaned out the greenhouse this week since nothing much else is going to happen in there with the colder weather approaching. 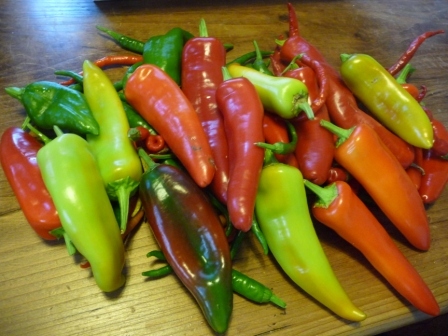 Hummmn I asked myself….did we grow enough chillies????…. 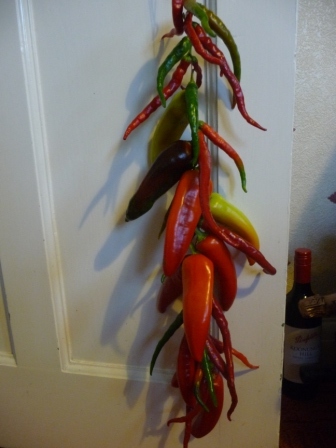 I now have a bag full in the freezer, a long strand in the airing cupboard and 5 pots of sweet chilli jam. 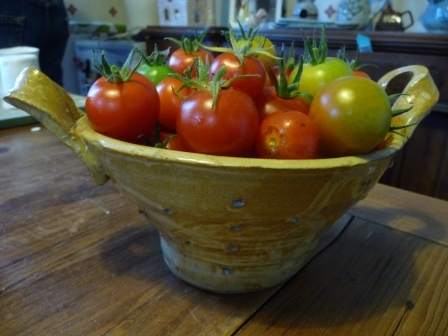 The sweet chilli jam recipe is perfect as the main ingredients are chillies, peppers and tomatoes….as you can see, I had plenty of these…..so it’s a real potted triumph of this years greenhouse successes. 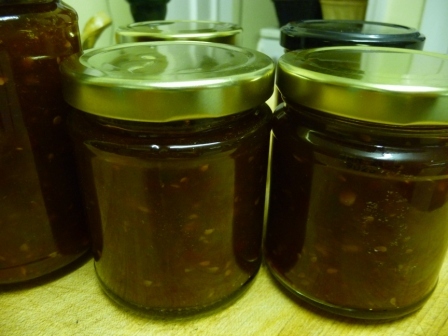 Sweet chilli jam....a true greenhouse triumph. 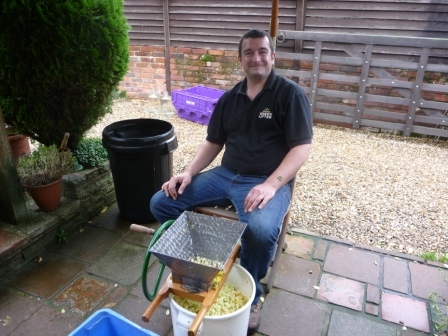 Six hours of dedicated apple pressing. Only the carrot of 14 gallons of cider could have held the stamina, enthusiasm and camaraderie today…especially when it started raining. Great to see this project through to the (almost) final stages. It seems a while ago that Geoff and Julian were eyeing up the apple blossom and fantasising about brewing their own magical cider. The next and final stage is probably the most significant….the tasting, but for that you will have to wait at least another 3 months. 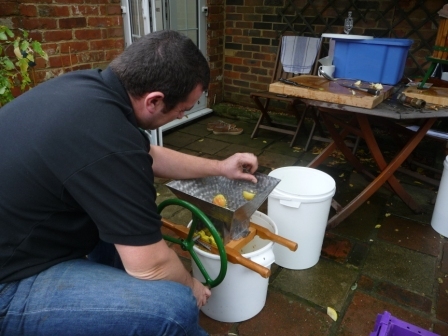 What better way to prepare yourself for a 12 hour flight to Hong Kong and 6 month exploration of Asia and South America than some hard-core apple pressing. Thanks James for your help…..we will try to save you a bottle for your welcome home. The taste of the juice was supurb….if it ends up an alcoholic version of that….we are onto a winner…. 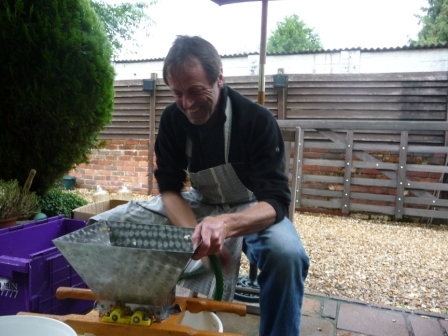 Must mention Mr Todd, the next door neighbour who kindly donated the press and masher after many years of enjoyable use himself (I wonder if he is also after a bottle?? with 14 gallons, I think we can spare one!) 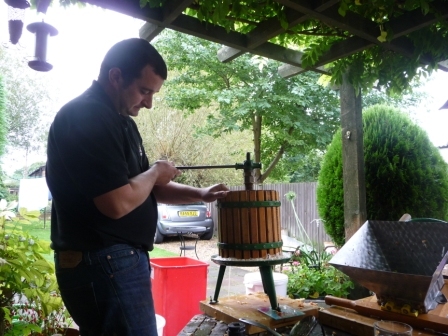 I wonder if he ever attempted to press 125kg of apples in one go….I did only notice 1 tree in his garden. There was some mention of wishing for a larger press….i.e. one of those ones you see that is powered by a dizzy donkey….but that would have spoilt the fun and ‘hands on’ participation. 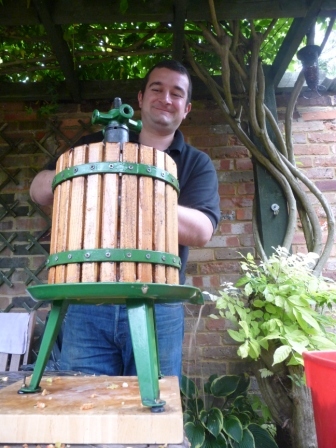 Good fun….hoping for ‘drinkable’ cider and impressed that we have managed to make more Food (drink) For Free…. 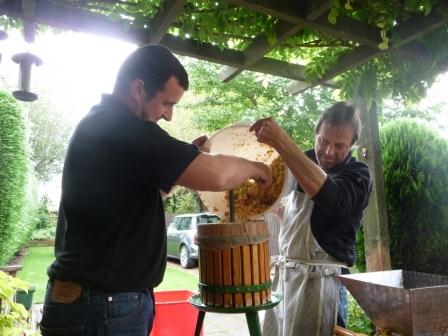 The press in action.....steady flow of lovely apple juice being collected in the bucket below. 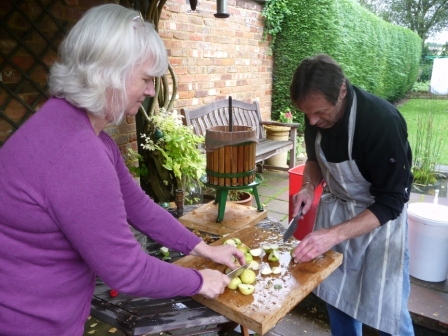 All hands on deck now as we near the end of the apple chopping.....this is the last batch to go in the masher. Wey Hey.......that's it. 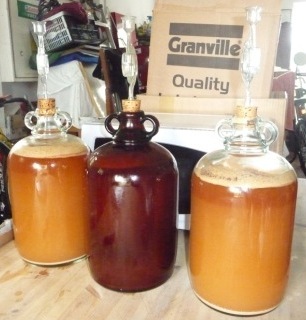 14 gallons of lovely apple juice.....which will hopefully turn into delicious cider. This batch was named 'Strictly P***ed'......they are hoping it will be ready in time for the Strictly Come Dancing final....traditionally a rather drunken affair...although usually confined to cocktails! 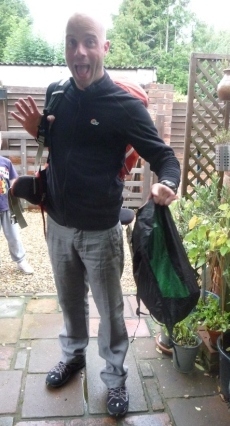 All pressing completed in time to wave the intrepid explorer off on his 6 month tour of Asia and South America. 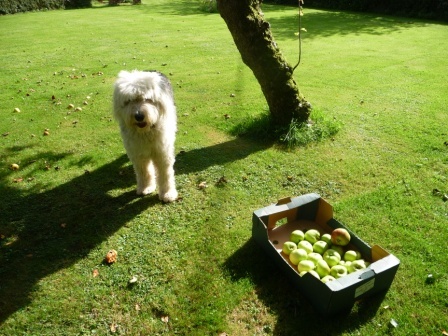 He's hoping by helping today, we'll save some for his return....I guess it all depends on how good it tastes. If there is some left for you James at the end of March......maybe it wasn't that good?! 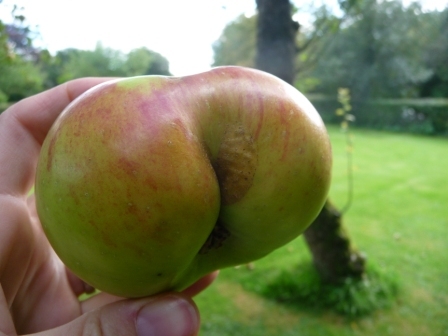 Apple Catchers n. – a traditional Herefordshire name for outsized, or generously proportioned knickers (so big one could use them for harvesting apples). 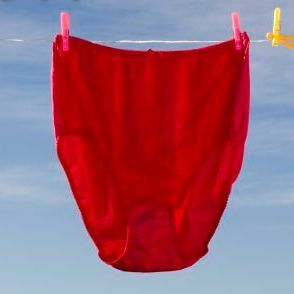 Before yesterday, I too thought Apple Catcher was a term for large, frilly knickers. 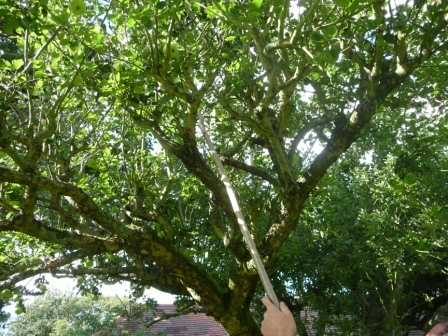 That is before Julian fashioned his own apple catcher from a long branch and a metal coat hanger. 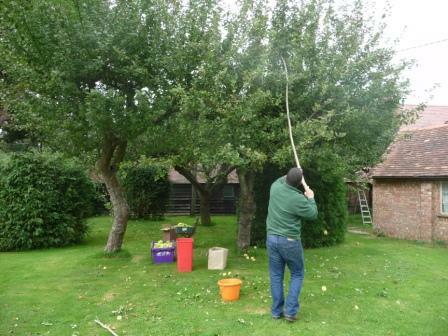 The loop on the end was perfect for plucking the apples that have remained out of reach at the top of the trees. For the really large, red and juicy apples which cunningly seemed to nestle only at the very top of the tree, we had to go back to the common to find a longer stick. 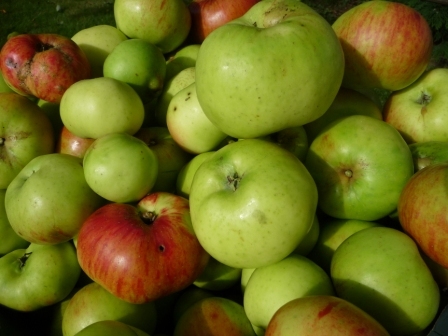 125kg of apples now wait patiently in boxes and dustbins, their skins softening, ready for the inaugural pressing next weekend….the first step in the process of cider making. 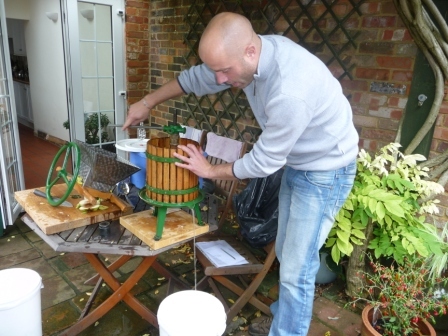 Never made cider before, but with all the apple trees in the garden it is the perfect time to experiment. 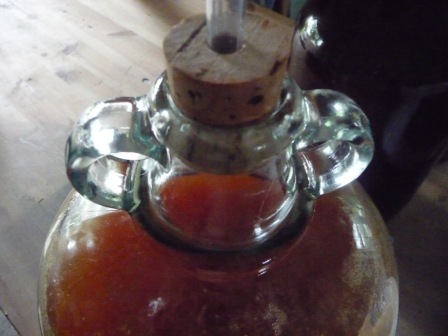 Some friends and fellow cider makers pressed their apples last weekend and eeked out 8 gallons of pure juice which has already started to ferment. 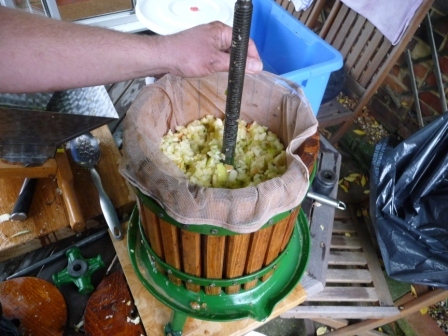 Luckily we have managed to lay our hands on a second-hand apple press and don’t have to resort to a net curtain, 2 pieces of kitchen worktop and a car jack….although apparently the contraption did the job perfectly! 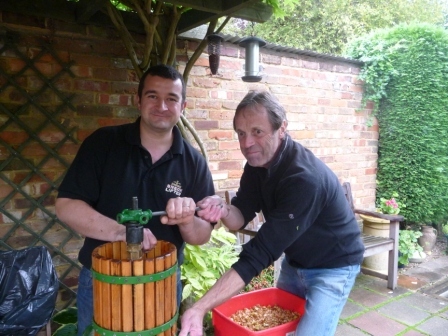 The ingenious apple catcher reaches those who thought they were safe! 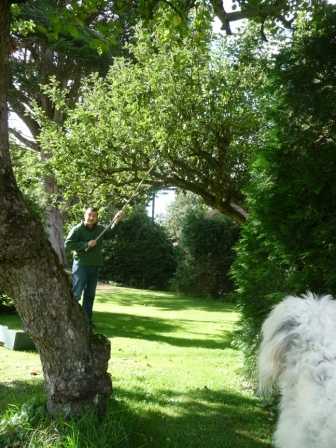 Get right up there.....leave no apple up picked! Turned into Squirrel Nutkin…or Old Mother Hubbard (only my cupboard is certainly not bare). Only since moving to the sticks have the seasonal changes in the hedgerows become so apparent and lure of foraging for food for free is too appealing. 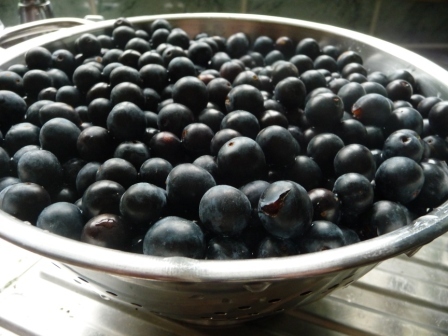 I have never paid much interest to these little blighters….Sloes, the fruit of the Blackthorn tree. Unpalatable direct from the tree, they are intensely bitter. 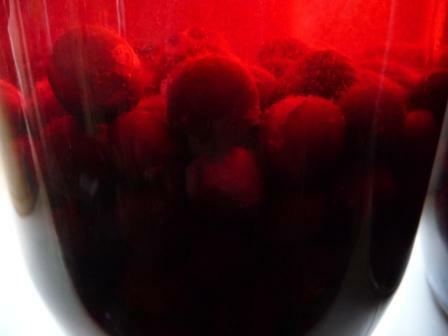 I hear some sugar and a litre of gin sorts that out though, so we are giving Sloe Gin a whirl. Add it to the growing collection of Blackberry Vodka, Rhubarb Schnapps and Apple and Cinnamon Schnapps, and I think we will be fine if we get snowed in again this winter! 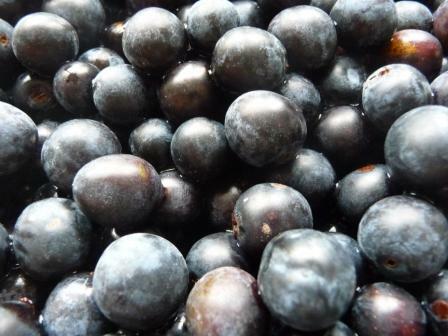 It is suggested that the best time to pick sloes is after the first frost, as this reduces the bitterness, but who know when this will be and whether other eager hunter gatherers will have got their first (doubt it! 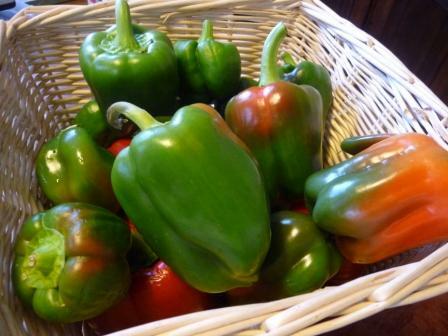 ), so we’ve picked them already and stuck them in the freezer overnight instead. As usual, far too many sloes were picked, about 4, so we also now have Sloe and Apple jam, and the rest were given away to other experimental gin makers….. The recipe is as follows, you need to shake it every couple of days for the first month, then leave it for 3 months (in time for Christmas) to a year to mature.